A public meeting held last week near the three-unit Browns Ferry nuclear plant in Alabama discussed the Tennessee Valley Authority’s preparations for the next phase in the NRC’s supplemental inspection associated with a “red” inspection finding, the most serious category for those findings. How did we get to this point and what lies ahead? In October 2010, Browns Ferry employees and NRC resident inspectors saw the failure of a valve in a Unit 1 system counted on for cooling the reactor core during certain accident scenarios. That failure could have led to core damage had an accident involving a series of unlikely events occurred. Fortunately, there were no actual events at the plant related to this issue. The valve was repaired and returned to service in November 2010, but after evaluating the inspection finding and receiving information from TVA, the NRC staff determined that there was a significant reduction in the level of safety and issued a “red” finding. “Red” means that the issue has high safety significance and the potential risk of an accident is higher than acceptable. As with all U.S. commercial nuclear power plants, the NRC staff evaluates performance at Browns Ferry to make sure TVA operates the facility safely. 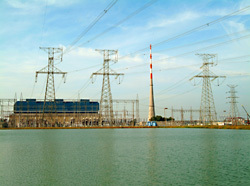 This evaluation includes the failed valve and TVA’s follow-up actions. The Browns Ferry plant is under increased oversight until NRC inspectors complete a series of detailed inspections and the agency is confident that performance is improving and will continue to improve. These inspections are in addition to the NRC inspections and reviews that every plant receives. NRC inspectors have completed the initial phases of the supplemental inspection but continue increased oversight of the Browns Ferry plant. The NRC and TVA will continue to meet to discuss the status of TVA’s preparations until they are ready for the next phase of the NRC inspection. After TVA says it is ready, the NRC will assemble a team of inspectors for an in-depth inspection at Browns Ferry. The NRC estimates that the large team and comprehensive nature of the inspection could result in about 3,000 total inspection hours. That inspection will include all major site program areas including a review and independent assessment of the site’s safety culture. The NRC defines safety culture as the core values and behaviors resulting from a collective commitment by leaders and individuals to emphasize safety over competing goals to ensure protection of people and the environment. You cant just bring video cameras into plants due to a combination of security issues, and electronics exclusion zones (areas where there is concern of electromagntic interference with plant equipment). You need to have an engineering evaluation or special approval at a lot of plants for bringing in portable electronic equipment. RE: In October 2010, Browns Ferry employees and NRC resident inspectors saw the failure of a valve in a Unit 1 system counted on for cooling the reactor core during certain accident scenarios. Why the “story” from Oct. 10, 2010? How about some modern reality, say from inspections of RED findings at SORE (San Onofre Reactor Emergency)? Your oversight, inspections and corrective program requirements relating to the RHR, residual heat removal system, failure is appreciated. There are problem areas relating to failures in corrective action programs and training deficiencies, which unfortunately, were demonstrated in the January Annunciator Panel Control Room fire and the subsequent June White Finding. Both problems reflect on managements inattention to detail within the safety culture at Browns Ferry. Along the same line, and of high risk, are the numerous systems which may contain antiquated power supply components driving actuators, valves and other critical reactor and cooling pool safety equipment including control room safety systems. The NRC must consider immediate corrective action in order to protect public safety in regards to antiquated components in critical safety systems where the life expectancy of the components have expired by months or even tens of years? Would appreciate similar language used in addressing San Onofee’s mismanagement. Next Next post: Who Sets National Nuclear Energy Policy?